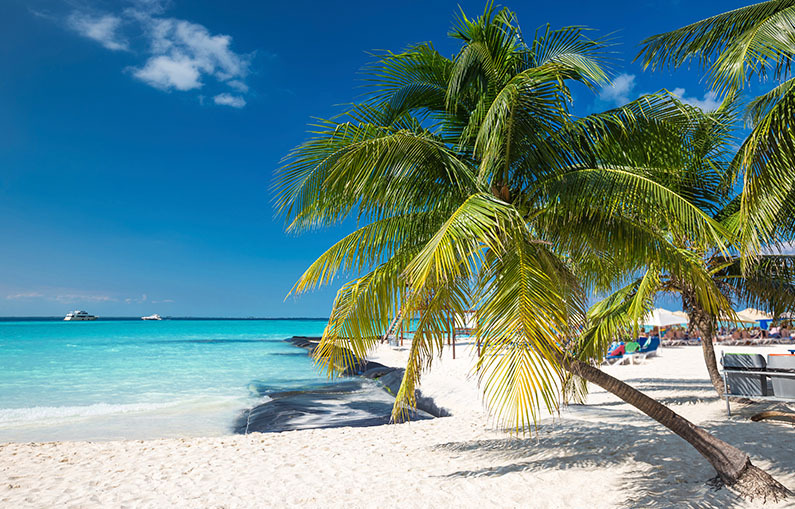 Boasting snow-white sands, crystal-clear waters, and 80-degree temperatures year-round, Cancun is a top-notch tropical destination for travelers worldwide. Situated in the Yucatan Peninsula of southeastern Mexico, the city is home to a vibrant culture and an oasis of loveliness and leisure. Bet you had to read that one twice. Yep, an underwater museum exists—right between the coast of Cancun and Isla Mujeres. After listening to storied “tales of the deep,” you’ll get outfitted with a snorkel and embark on a 45-minute snorkeling excursion. At the Cancun Underwater Museum you will float past 455 underwater statues, and likely run into some lava-red, bold-striped, and sunflower-yellow fish along the way. If you’re lucky, you might even spot a turtle or two somewhere amongst the largest artificial reef in the world. Mexico is known for its sublime, intricately detailed churches, and Parroquia de Cristo Resucitado is no exception. The church offers Sunday masses in English and evokes a serene, welcoming atmosphere. Its architecture is impressive, and serves as an enticing retreat of reflection for commotion-weary travelers. Worlds away (but only a two-hour drive) from the modern metropolis of Cancun, Chichen Itza is a marvel of ancient Mexican history. The experience of visiting this large, pre-Columbian city is nothing short of awe-inspiring; it is without a doubt one of the most visited archaeological sites in Mexico. With origins dating back to AD 600, Chichen Itza offers a fantastic insight into Mayan culture, and represents the incredible pride of Mexico. After exploring the beaches of Cancun, Isla Mujeres offers up a different slice of beach life. A twenty-minute ferry ride away from the oft-overwhelming bustle of Cancun, the island is a paradise within a paradise. A day spent here involves tacos (and lots of them), fruity drinks (and lots of them), and incomparable views (nothing short of bliss). Lie in an infinity pool, swim with the dolphins, or row a kayak out to sea—rest assured, you will come back rested. To plan your trip to Cancun or for an extended guide of things to do, visit the official Cancun city guide at http://www.cancun.com.